When can I sell my Right To Buy property? The owner of every home in Wandsworth and Lambeth purchased from a social housing provider under RTB legislation introduced in the 1980s has the option of selling that property any time. However, the government advises that if the owner of a RTB property sells that asset within the first five years of ownership, the former landlord has the right to ask for repayment of all or part of the discount. Wandsworth Council advises RTB property owners that if they sell within the first year of purchase, the whole discount will have to be repaid. Four-fifths (80%) must be repaid if the property is sold in the second year of ownership, three-fifths (60%) in the third year, two-fifths (40%) in the fourth year and one-fifth (20%) in the fifth year. After five years, the property can be sold without repaying any discount. However, Wandsworth Council – where the maximum discount on an RTB property is currently capped at £103,900 – says the amount of discount to be repaid if an RTB property is sold within five years of purchase will be a percentage of the resale value of the property, disregarding the value of any improvements. Here, Eden Harper provides a hypothetical example. A tenant rents a local authority-owned flat in Battersea with a market value of £300,000 and decides to buy the property after receiving a 20% discount, worth £60,000. If the home rises in value to £450,000 in the second year of ownership and the purchaser decides to sell, they would have to repay 80% of the 20% discount, which is now worth £90,000. In other words, the seller would have to repay £72,000 – 80% of £90,000. Other local authorities demand that anyone selling an RTB property within the first five years of ownership must repay the total discount plus all or a percentage of the profit. But a growing number of London councils, including Lambeth, insert a clause into RTB sales stating that if the purchaser wishes to sell the property within five years of becoming the owner they must give the local authority first refusal. 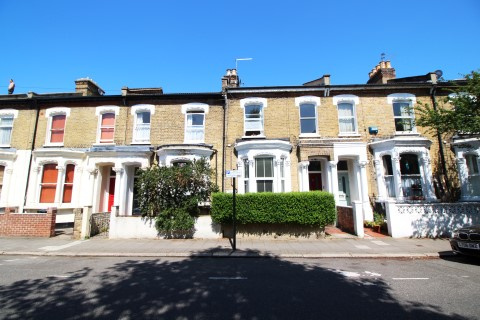 In Lambeth Council’s case, if it takes up its option to repurchase the property the seller will only receive the exact amount he or she paid for it. A spokesman for Lambeth Council says that if it does not take up its right to repurchase an RTB property, the current owner is free to sell it on the open market and not repay any money to the local authority. The rules on the repayment of discounts and profit on RTB properties differ depending on the local authority and the type of property. Eden Harper would, therefore, advise any RTB property owner in Wandsworth or Lambeth to consult their respective local authority to discover the amount of money that will be repayable when the home is sold. As an independent estate agent, Eden Harper helps maximise the value of each and every property we market for sale in Battersea and Brixton. If you are considering selling a home in these vibrant areas of London, contact us today for an up to date valuation of its market value.